Standard - $17.99 Only 4 left! Vultures are nature's clean up crew. They love to snag a quick snack at any corpse. It must be something about the dead and rotting organs that gives it an extra zest. Maybe it's just easier on the digestive system when the carcass has already been broken down a bit. (Man, this is getting gross. sorry). Either way we have an aviary full of some great vultures who have a very unique taste in flesh. They love to eat zombies! Sure they're a little harder to catch but they still move pretty slow and don't seem to mind. Whatever rotting flesh they eat the zombie will just grow back by eating some extra brains. Smart birds, right? 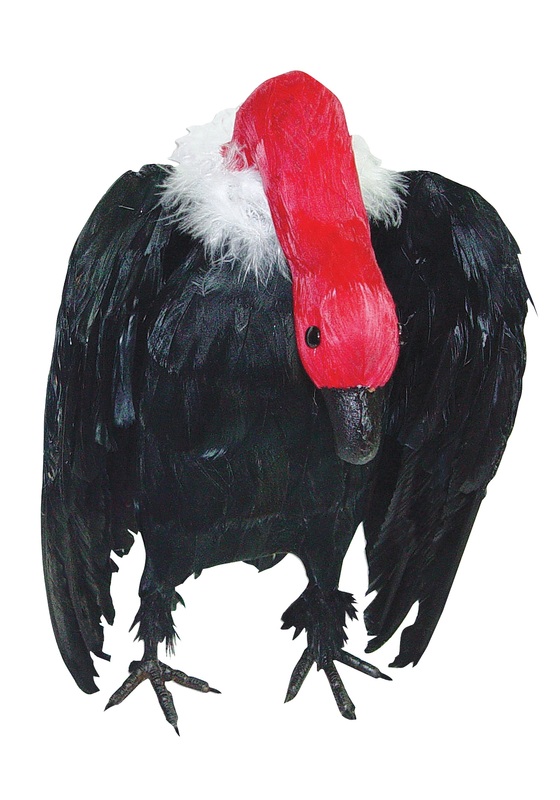 Grab one of your own Vulture with Head Down Prop and give your friends the heebie jeebies by putting it high above them to look down like they're its next meal! Grab a few of them and set up a nice little flock at your next Halloween party! Just be sure to keep them well fed. We once forgot to feed them and a couple of our night shift employees disappeared!